Every year pride parades celebrate LGBTI (lesbian, gay, bisexual, transgender, and intersex) culture and pride. But Wellington takatāpui (Māori LGBTI) activist, Kassie Hartendorp, feels alienated from the flamboyant festivity. "It’s glittery, it’s fun, it’s fabulous. It feels empty. I don’t really know what the point is sometimes, you know.” In this Loading Doc short documentary, Hartendorp talks about wanting pride celebrations to be more inclusive of takatāpui. 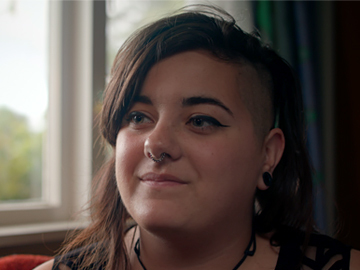 She faces a dilemma when her takatāpui kapa haka group are invited to perform at the Wellington Pride Parade. Helen Clark once described Derek Fox as the pre-eminent Māori broadcaster of his generation. He is a journalist and publisher whose work in Māori media spans print, radio and television. 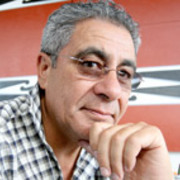 Fox's name is synonymous with TVNZ's daily Māori news programme Te Karere; Marae, which he fronted for many years; and Māori Television, which he was instrumental in setting up. 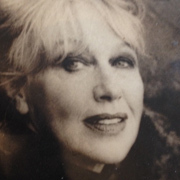 Dunedin-born Bridget Armstrong has found success in a range of British and Kiwi stage and screen roles. At 18 she joined the touring NZ Players, where she recreated characters as diverse as Anne Frank and Elizabeth I. Later in London, Armstrong showed her comedic talents and played Katherine Mansfield for the BBC. Back in New Zealand she acted on TV's Gather Your Dreams and Roger Hall film Middle Age Spread.